Vani Bhalla Pahwa is one of the most experienced disciples of Guru (Padmashree) Smt. 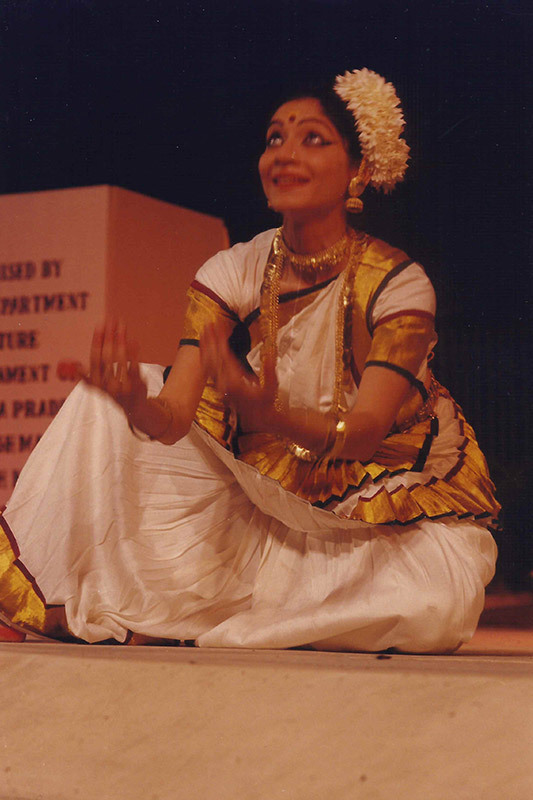 Bharati Shivaji, and was amongst the first students who began training with her since her venture into dance. 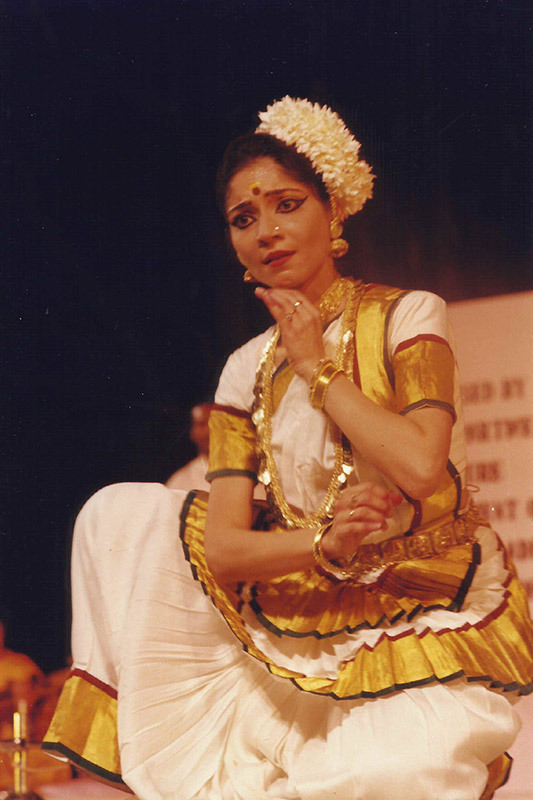 Vani was initiated into dance at a very young age, initially in Bharatanatyam & subsequently Mohiniyattam. She has been a student of Mohiniyattam from the time it was being resurrected by her Guru. It is these years of intense training in the technique, fundamentals and nuances of the style that enabled Vani to imbibe the essence of the dance form. 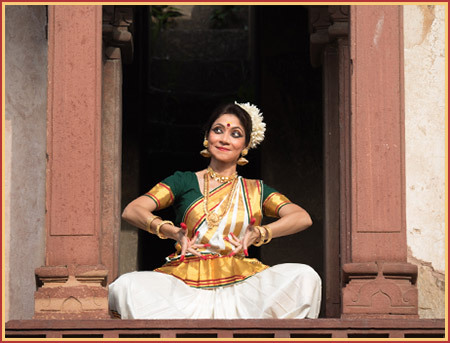 Her north Indian background notwithstanding, she has succeeded in effortlessly crossing the divide and imbibing the inner spirit of this exquisitely graceful art form. Such has been the extent of her adaptation. 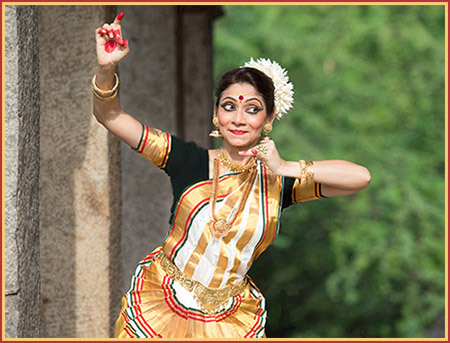 Mohiniyattam – the feminine classical dance form of Kerala – is unique in its identity. 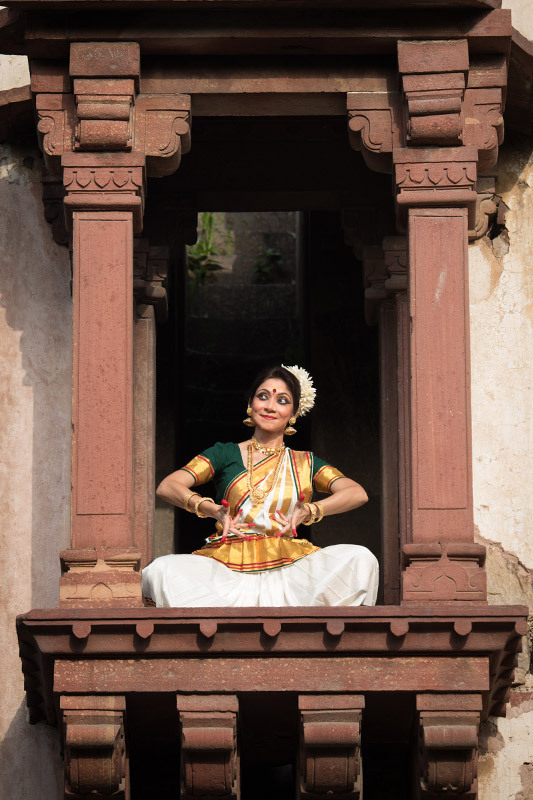 Of all the classical South Indian styles, Mohiniyattam can be singled out with admirable distinction, for its characteristic body movements, marked by the graceful sway of the torso. The soft, languorous movements of the style are reminiscent of the swaying of coconut trees in the gentle breeze. 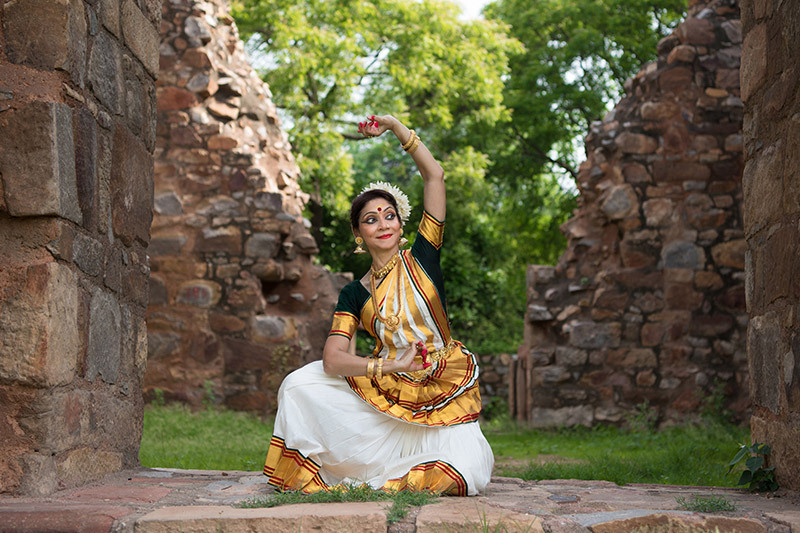 Literally meaning the Dance of the Enchantress, FEMININITY, GRACE (Lasya) and BEAUTY (Sringara) form the quintessence of this dance form. The movements are never abrupt, but always dignified and seemingly easy and restrained, belying the power and control demanded in their execution. This continuous, controlled, unleashing of energy in a fluid manner without making it apparent, places unique demands on the dancer. Grace is always the edifice of the glances, postures and gait employed, and together they convey the infinite suggestiveness of radiant love, rooted in divinity. 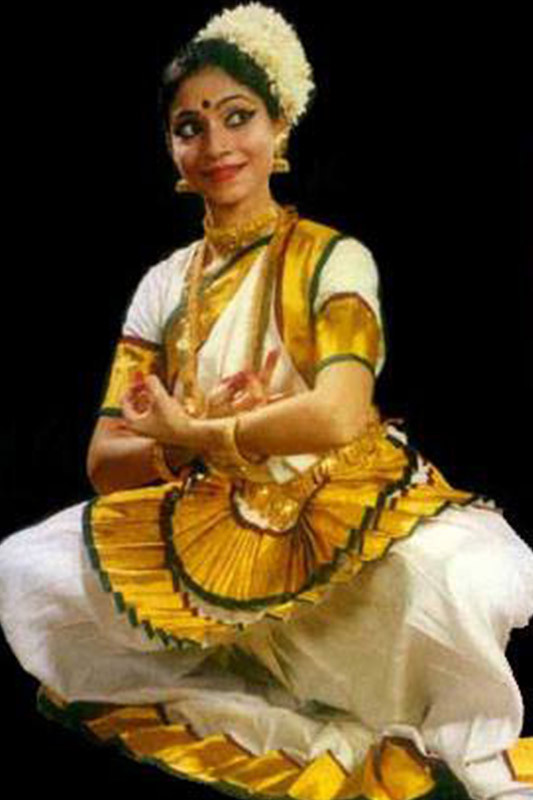 The traditional costume worn in Mohiniyattam is white with a gold border, and gold ornaments are worn. The unique coiffure with hair gathered on the left side of the head reflect its aesthetic appeal, making it distinct from the other dance forms of India. The regional system of music that Mohiniyattam follows is the SOPANA style which in its lyricism is evocative of the spiritual element. 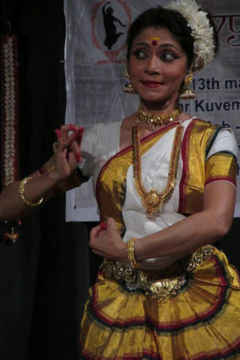 Apart from several solo performances, Vani has played a prominent role in some of the earliest and most significant productions of her Guru, namely Chandrotsavam (inspired from the medieval period of Kerala), Deva Gita (inspired from the Gita-Govinda tradition in Kerala), Rig-Veda, and more recently an innovative work inspired from Kerala folklore evoking Kali, besides Sita Ram Parinay (inspired by Tulsidas’s Ramayana). 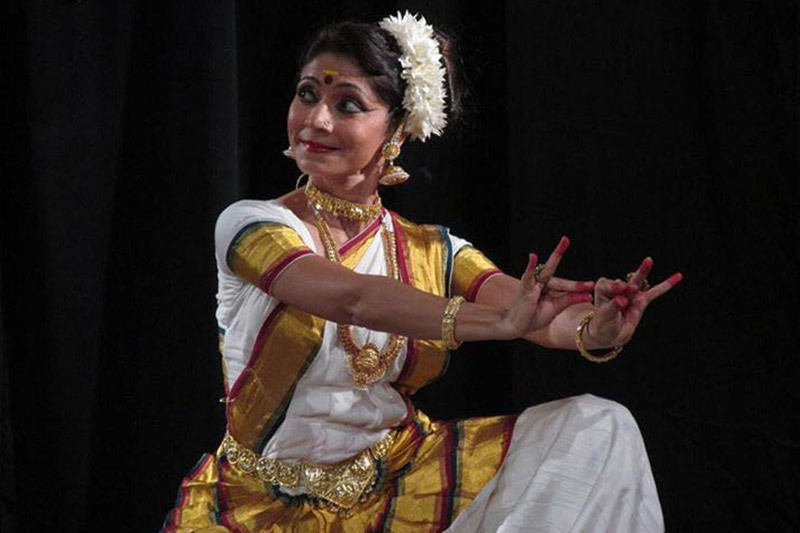 She also played a very major role in Unniarcha, an innovative production of Vijayalakshmi, which was inspired by the over 2000 year old Martial art tradition of Kerala known as Kalaripayattu, for which she underwent rigorous training. 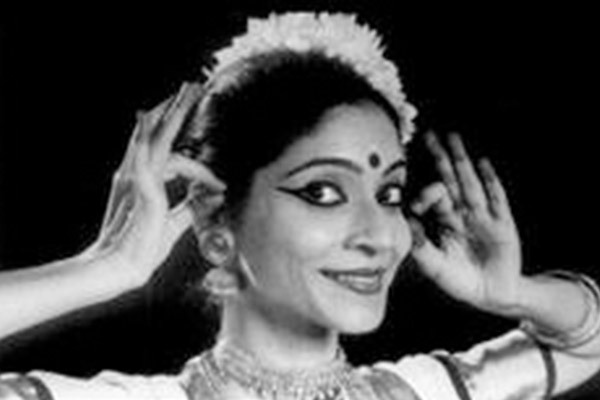 She thus brings to her audience, a matured presentation of Mohiniyattam, owing to her long years of experience as a performer & her deep understanding of the aesthetics of the dance form, and is widely acclaimed by critics and connoisseurs. 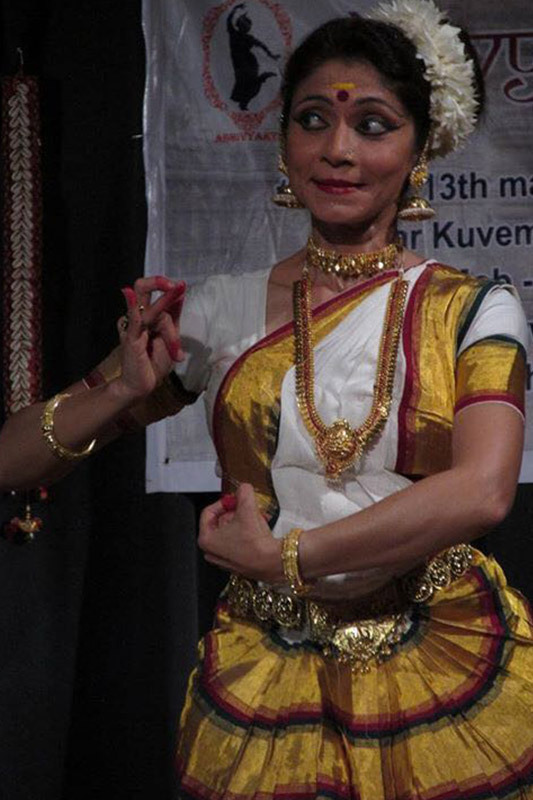 An empaneled artiste with the Indian Council for Cultural Relations (ICCR), Vani has performed at some of the most distinguished venues around the globe, including innumerable cities in Australia and New Zealand, sponsored by ICCR. She has performed extensively in some of the most prestigious national venues and festivals, including the Khajuraho Festival, Konark Festival, Ganga Mahotsav, Krishna Gana Sabha, to name a few. 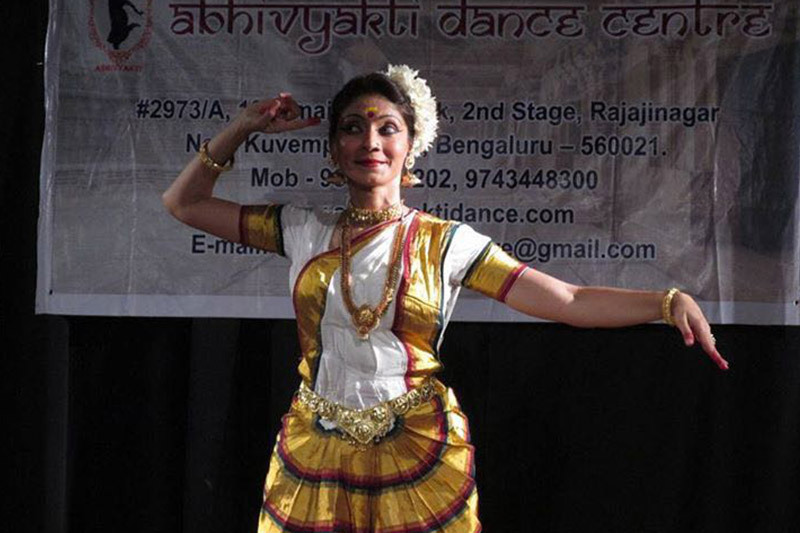 She has also performed for Doorsharshan. 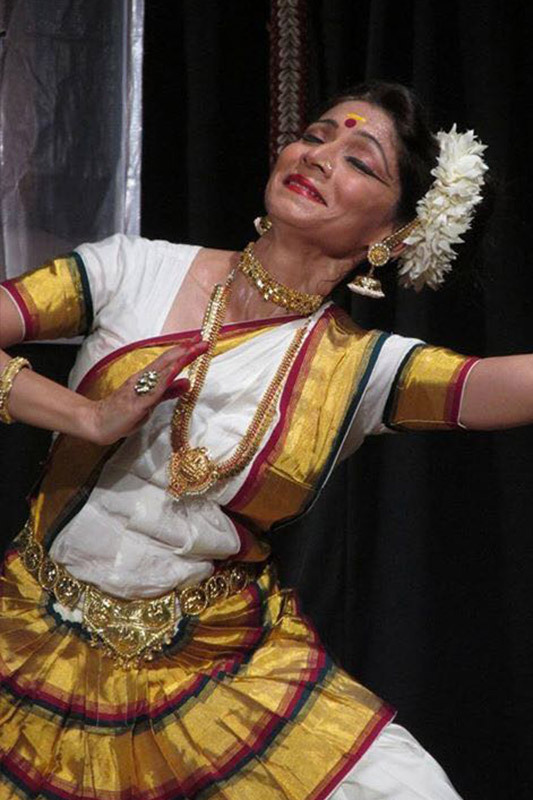 Vani is a recipient of the Sahitya Kala Parishad scholarship and the Indira Gandhi Priyadarshini (National) award for outstanding Services, Achievements & Contributions (Mohiniyattam). She was featured in an Australian documentary, ‘India Under Blue Skies’ as one of the select group of Outstanding Young Global Indians. An alumnus of Shri Ram College of Commerce, Delhi University, where she graduated in Economics (Hons), Vani later specialized in Internet related technologies. Thereafter, her continued fascination with the human anatomy and function of movement led her to delve deeper into study of both. She is an Exercise Specialist and Master Rehab Trainer and works with all sections of the population. Her specializations enable her to address all age groups and offer both active and rehab programs, under her proprietary banner Body In Motion. Her repertoire of expertise sees her advice CEOs of multinationals to various sports groups, individuals and athletes across the country. She also works with people with chronic health issues. She has several International Certifications to her credit. 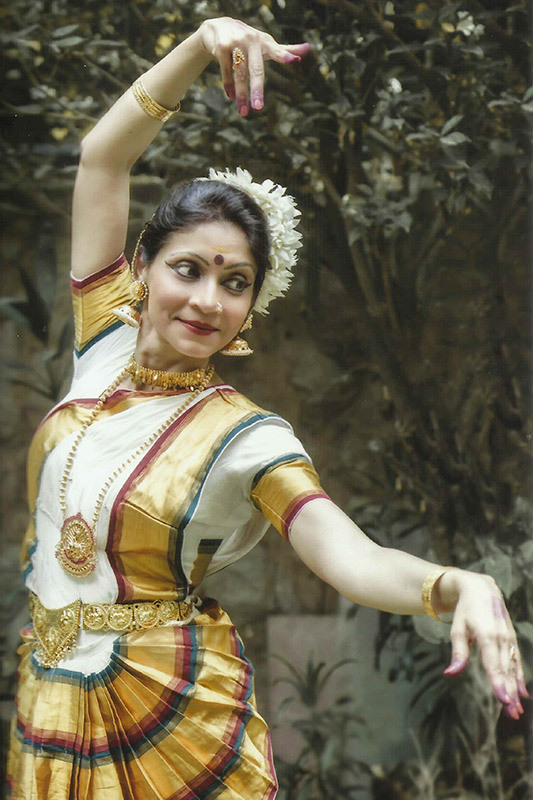 Drawing from her dual understanding of the human body through dance and fitness methodologies, Vani is working on redirecting attention to and reviving interest in India’s indigenous art forms and traditions as means of holistic health and fitness and highlight the vast repertory of unparalleled wealth they offer, as a unique mix of art and science. 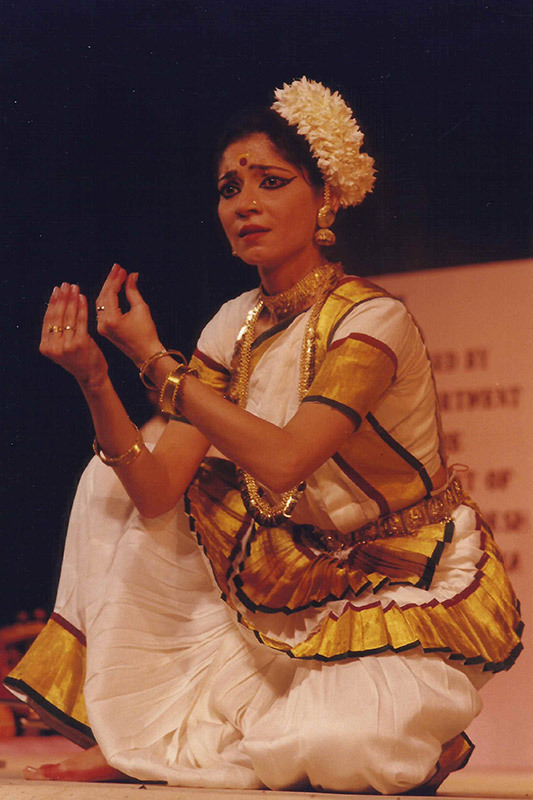 … She brings honour to her Guru … will undoubtedly make a place for herself in the Mohiniyattam sun. … Vani is a dancer with undoubted promise …. … The young danseuse has the correct technique. She has the added advantage of having profoundly expressive eyes and striking personality. 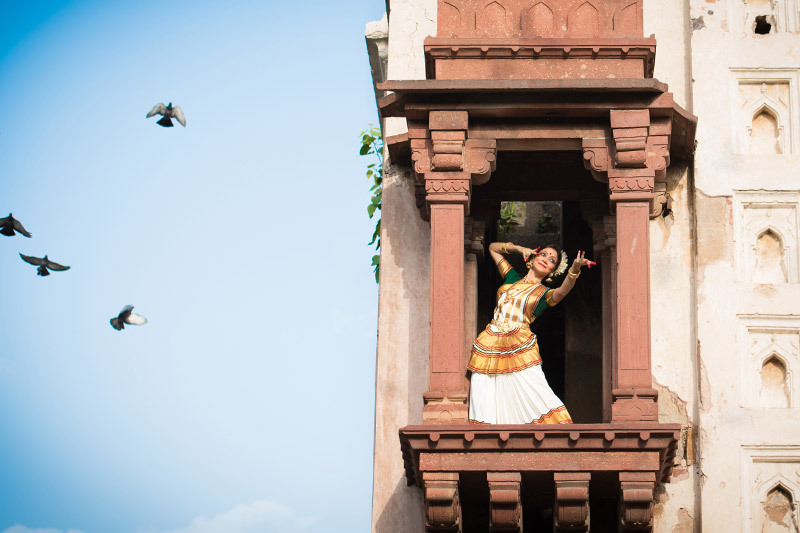 … Celestial magic … Vani Bhalla managed to recapture some of the magic of the celestial original. 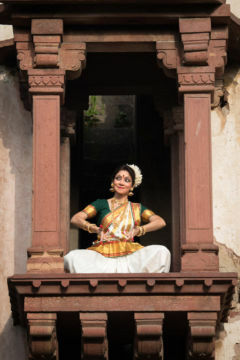 …Mohiniyattam, which is thirsting for dancers of her caliber… gifted with an innate faculty of grace… mission chalked out in the field of Mohiniyattam.